Another year, another awesome showcase. We had a great time, as always, and we're already preparing for a summer full of competitions and showcases! We owe a big thank you to all of the performers and friends for helping us make this year's Spring DanceFest a success! The night was divided into three half-hour acts, and we'll be posting pictures of each throughout the week. Check out our Facebook page on Monday, May 20, for the full album. Marriner Ballroom Dance opened the evening with their Samba formation. 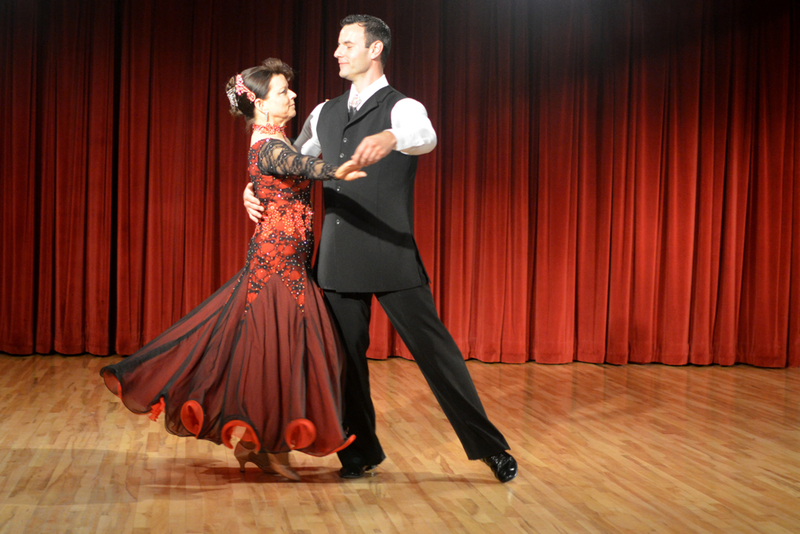 Theron Schamle with instructor Shelley Fritz performing their Rumba. Chris and Ann Hilton with a fierce Tango. From a beautiful waltz performed by Leigh Jean Koinzan and instructor Alex Stidham of Simply Ballroom. Howell Pabian and Shelley Fritz mixed Quickstep and Lindy Hop in this charming medley. Crystal Tegtmeier performing a Rumba with her instructor, Nick Hernandez. Jerry and Dara Gemar dance an Argentine Tango. Alan and Sue Miles brought out the only Viennese Waltz of the evening. This year's DanceFest featured performers from 402 Dancesport, Cabana Ballroom, Kim Dondlinger Dance Studio, Marriner Ballroom Dance, ProActive Chase Dance Studio, and Simply Ballroom.